It's day 1 of the 2011/2012 winter season. I have been wanting to go skiing for a few weeks and finally made it today. I was hoping Tia would join me, but she had too much work and too many meetings, so I headed up alone. A few friends from the area were going to Arapahaoe Basin today and I decided to join them. An easy drive up, getting me there at 10:30 and on the slopes at 10:45. 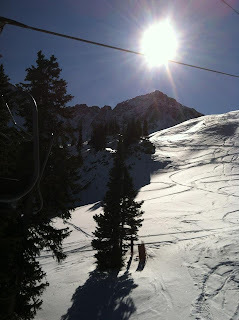 I'd never been to A-Basin (as it's known locally) before. It's up on top of the continental divide, above and to the west of Loveland. I've always worried about the pass, but it was so early and clear in the season I tried it. Piece of cake, and a beautiful day. Sunny, very little wind, and not too cold. Only two lifts were open, both leading to the top of the peak, and there were two routes down, but they both essentially paralleled each other. Blues, but not too hard blues, and fun to race down. My face got a little cold a few times when I was flying down, but not too much. Nice, peaceful races down the mountain, and then chatting with a fellow SQL guy on the lift going up. 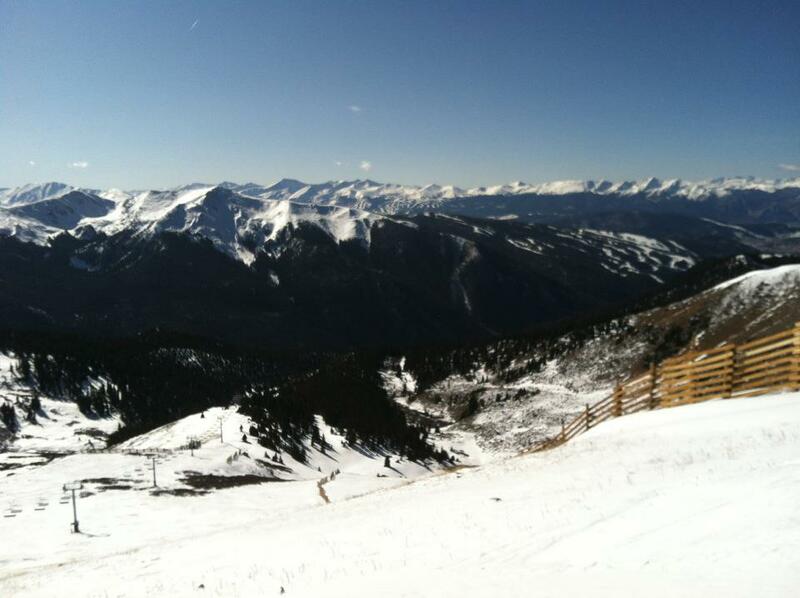 At the top, you could see Keystone and Breck in the distance. A great day, and nice to be back on the slopes. I was too busy last week on Mon and Fri to come up, and was worried the week before about snow at the resorts since so few runs were open. Now I look forward to Thanksgiving, when we go for a week, starting the 18th.